This week I went to visit the Redditch (Worcestershire) base of Baylis and Harding along with a number of other local bloggers. Baylis and Harding was founded in the 1960s by David Slater and Marcia Simmons, then known as Midlands Cosmetic Sales. We met the current generation (children of the founders): Adrian Slater and Tania Fossey. They took over the company; developed it; rebranded it to Baylis and Harding; and grew it into the successful gift and toiletry company it is today. Baylis and Harding is named for Adrian and Tania’s grandmothers who were great homemakers and there are pictures of these ladies all around the headquarters building. Baylis and Harding’s offices are beautifully designed and rather a surprise to find on an industrial estate. 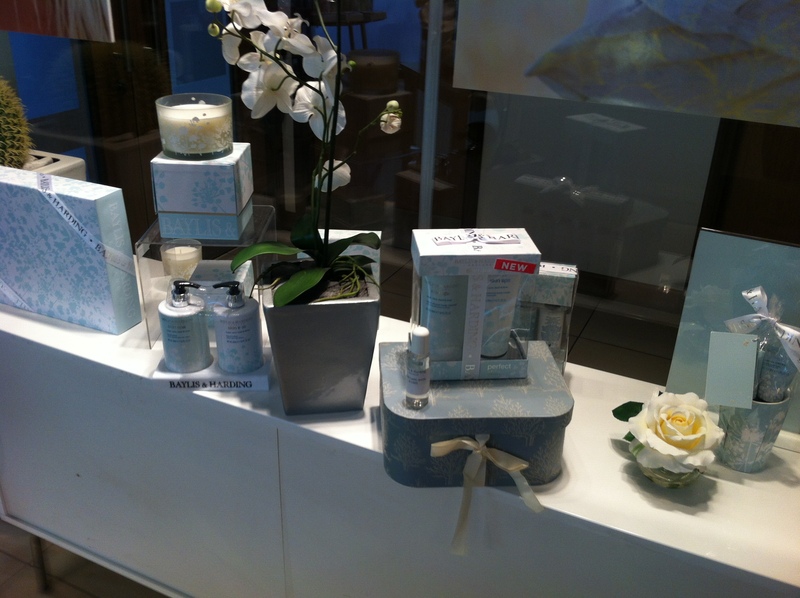 One of the key principles that the company works to is to provide affordable, but luxurious bath and body care products. They do this partly by simple economies of scale like using the same size and shape of bottles again and again. Challenging the cost of their ingredients is another way: in fact, they decide what something should cost to the customer and then work backwards to provide it at that price. This is reflected in the pricing structure because you can buy Baylis and Harding products for as little as £2 and nothing from their ranges will cost you more than £45 to buy. Some might say why is it so cheap to buy, but I have to say I agree with the directors of the company when they say ‘why should you have to pay more?’ It does make me wonder how much we are paying just for a brand name sometimes rather than for better ingredients or a more effective product. It was great to hear about a British owned, family run company, based in the Midlands, that is doing well in a recession. I hadn’t realised until my visit that they were based in Midlands and whilst they had a British sounding name I hadn’t realised that they were independent and family owned. At the end of the day, just before we went home, we got the chance to do a supermarket sweep. You know I’ve always wanted to do that. This was a less frenzed affair than when you see it all on television as we didn’t have a particular time limit and everyone was too polite in any case. We had a very large (and strong) carrier to fill each. There was a varied selection of products and gift packs available and I picked up one of everything to try. I hadn’t realised that they had a haircare range: Great Hair, nor did I realise that they were behind the children’s ranges of Mr Men bath goodies and Funky Farm products. 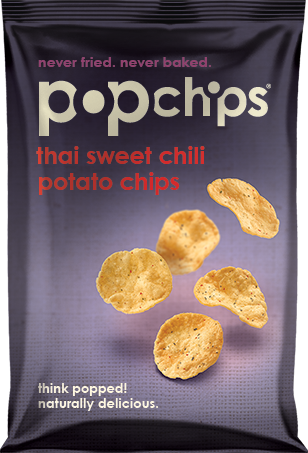 Popchips have recently launched a new flavour: thai sweet chili. I’ve previously reviewed Popchips, so I was interested to try out their new variety. Popchips aren’t fried or baked, but instead they are cooked with heat and pressure. 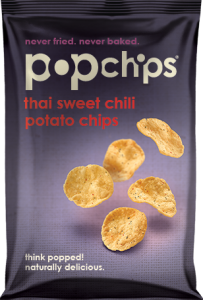 The thai sweet chili popchips flavour come in an 85g bag which is the perfect size for sharing. It’s as flavour with punch with good strong thai kick that isn’t overpowering. There’s a satisfying, crispy crunchiness as you bit in and they have a ‘clean’ chilli taste that isn’t dulled by excess grease. They’ve been a big success with my husband who has managed to snaffle almost the entire bag. I’m also liking the virtuous feeling of eating a snack that’s lower in fat and doesn’t leave you with greasy fingers. The chips are quite large and 18 chips (23g) contain 95 calories. I did struggle with the american spelling of chilli as chili though. 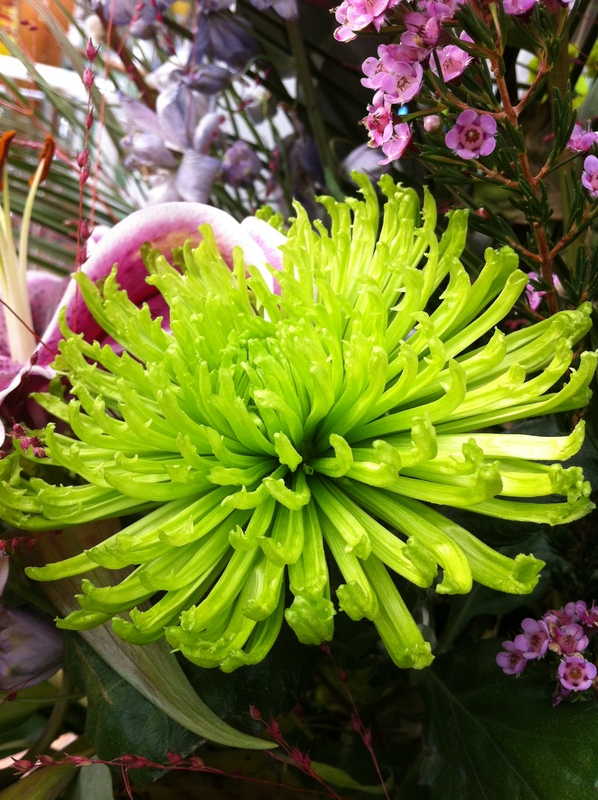 This week’s theme for The Gallery is colour. Colour, especially in winter, is something I yearn for and of course then natural colour can be hard to find. One way to find natural colour in winter is to visit somewhere that cheats a little by giving nature a helping hand. This pictures were taken at Birmingham Botanical Gardens (a favourite place of mine to visit to the extent that I have an annual pass). These flowers will obviously have been raised in hot houses with extra heating and maybe extra light too. 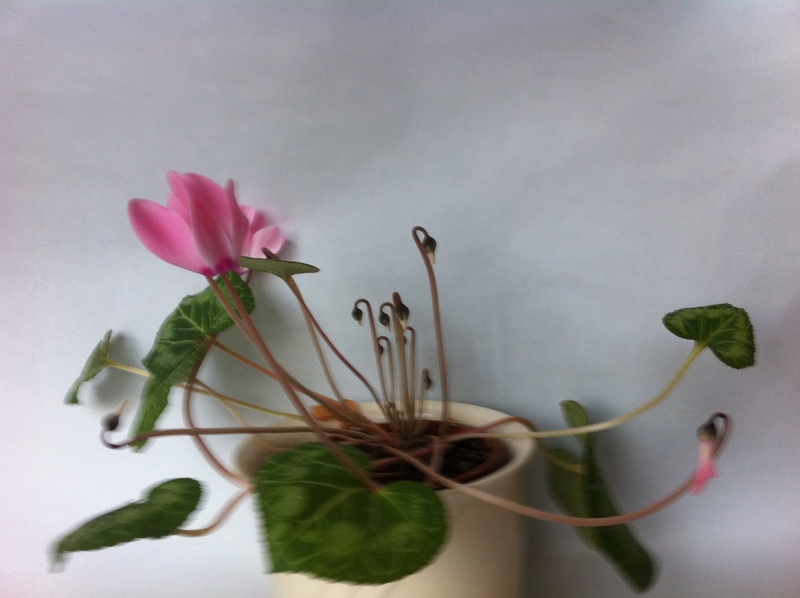 By providing extra heat and light these plants have been enabled to flower despite the conditions outside. 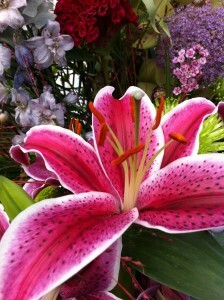 It’s lovely to see these exotic looking flowers blooming at any time of year. But, they are especially welcome as reminders of summer on a cold, dull wintry day, when there may be very little natural colour to be had. This is the second part of my Turners Restaurant review. You can read part 1 here. Turners is a Michelin starred restaurant located on Harborne High Street and we attended on a Saturday night which is when only the tasting menu is available to order. I’m going to let the food speak for itself, to a large extent, as I got some lovely pictures of the dishes and the cuisine does look stunning in its own right. 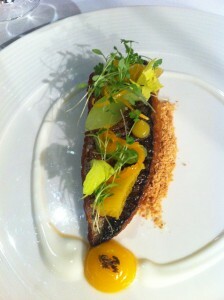 We loved this mackerel dish (pictured above). Mackerel is a favourite fish of both of us anyway and it was teamed with fresh, succulent fruits that provided just the right amount of acidity to balance the oily fish. Not every dish pleased us. My companion didn’t care for a liver based starter dish and I wasn’t keen on the pickled vegetable accompaniment to one of the main courses. However, as he doesn’t like liver and I don’t like pickles, perhaps it’s not surprising that we weren’t wowed by these dishes. 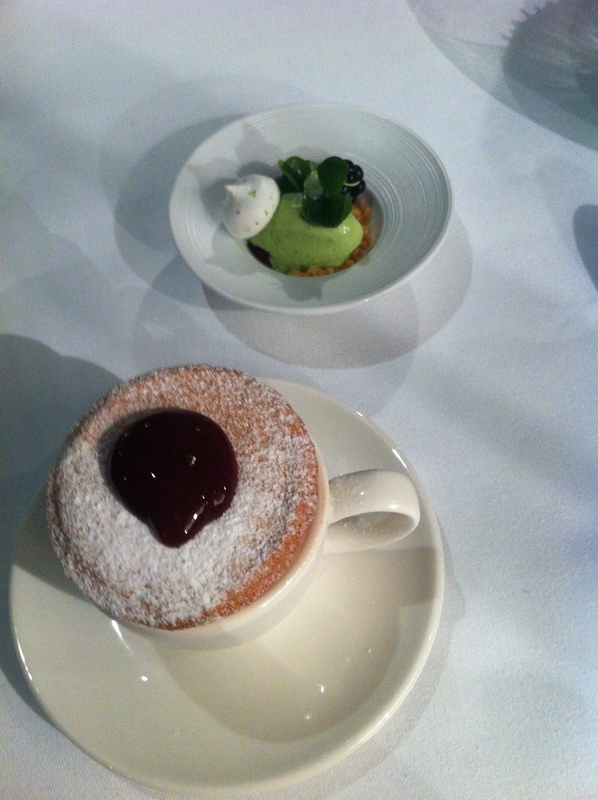 There were no complaints when it came to dessert though. 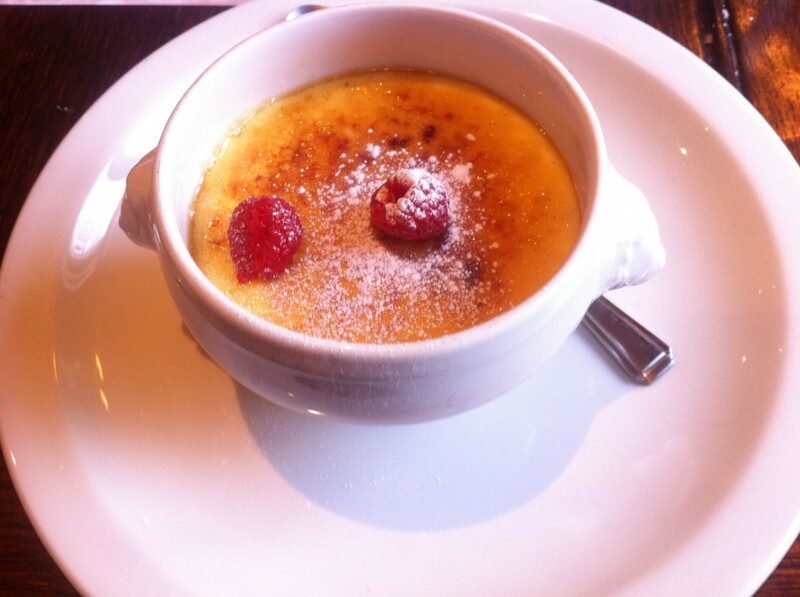 This lovely, light souffle certainly hit the spot. And there were more good things to come from the pastry section with this eyecatching finale taking pride of place. 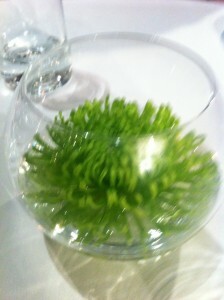 Overall we really enjoyed our visit to Turners Restaurant. It’s a small restaurant though and I think better suited to parties with few people as the intimate size of the building lendes itself to smaller groups. I would recommend choosing a bottle of wine rather than going for the wine flight. We did this and had no regrets. It helps keep the cost down and if you choose wisely, you can find a wine that we take you through the evening. The Christmas Cactus (latin name Schlumbergera) is one of my favourite house plants as it brings a little colour into my home when there isn’t much around. 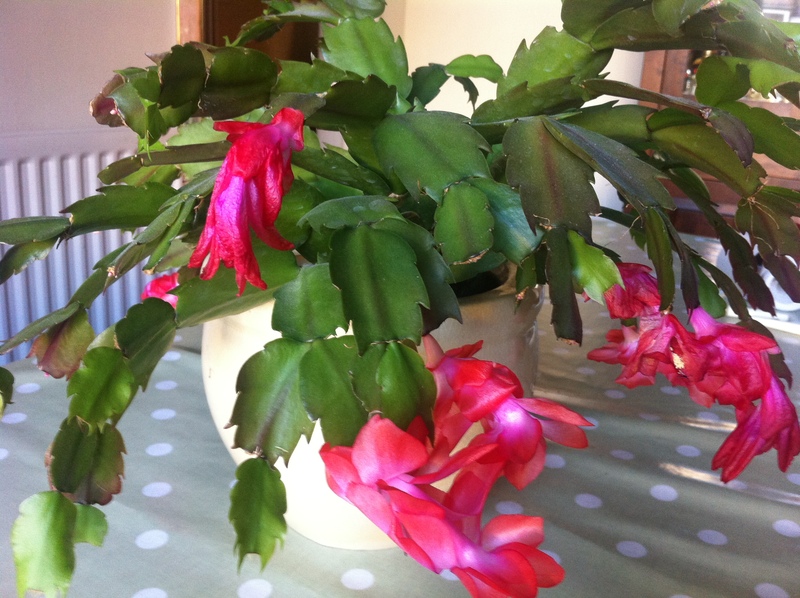 I find that mine tends to flower a bit before Christmas in fact, which suits nicely as there are always plenty of decorations around during the festive season.In fact, in America they are often known as the Thanksgiving Cactus and the timing of the flowering may well be more suited to this name (if my plant is typical). Another name for them is the Crab Cactus because the ends of the stems look a bit like the claws of a crab. This week I made a batch of homemade chutney. Some friends gave us some cooking apples from their tree and I’ve been using them for various things. I’d been putting off making the chutney, but then my Internet connection was playing up so I thought I’ll get on with preserving. Making homemade chutney involves a lot of chopping: you need to get the ingredients cut up into small enough pieces. So make a virtue of the need to be engaged in a repetitive task: listen to a radio programme (easy to pick one you like now with the ability to pick one from the last week or so readily available); put on a favourite CD; listen to an audio book; or have a little company to talk to while you work. 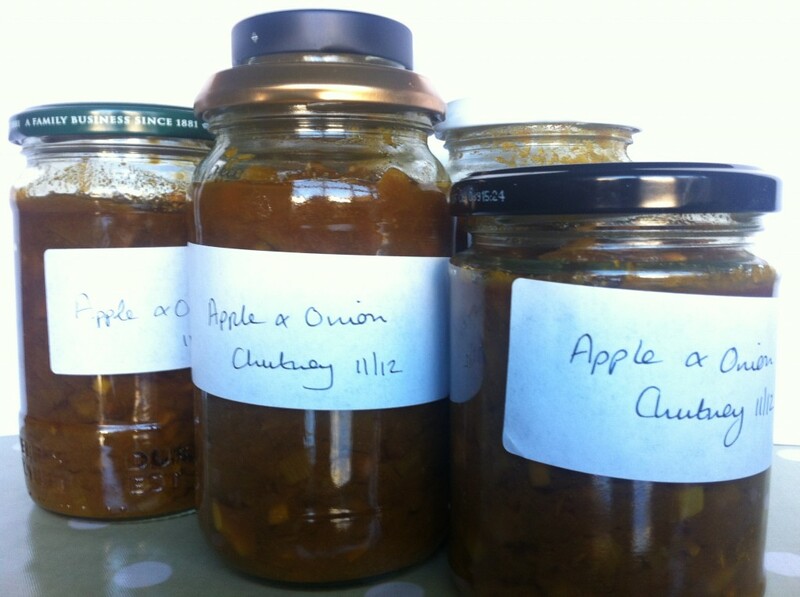 I’ve been making homemade chutney for a couple of years now and have been experimenting with various recipes. This time I made Apple and Onion Chutney which uses up quite a large quantity of apples. The recipe came from this book called Jams and Chutneys, which was a Christmas present. What do you like to do when you are chopping up your vegetables for chutney? Do you have a favourite recipe or a bible of preserving that you use? 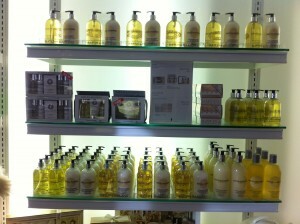 The other week we decided to treat ourselves to a visit to Turners of Harborne. 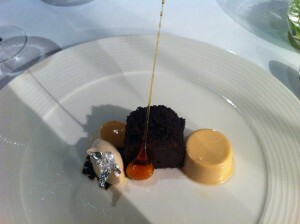 Turners is one of three restaurants in Birmingham that boast a Michelin star. We’ve visited Simpsons a number of times in the past, but had yet to try Turners Restaurant (our closest one) or Purnell’s. We booked a 7.30 table for a Saturday night. Turners has a number of different nights with cheaper menus available on less popular nights to eat out, but Saturday night means they only serve the tasting menu. This was fine by us anyway as we wanted to taste a range of dishes to gain an introduction to Turners food. As you’d expect for a Michelin starred restaurant, the tasting menu comes at a premium with a price of £80 per head for 8 courses, although you might get some little extra culinary surprises along the way. The door was opened for us as we approached and we were shown to our table immediately. As we were eating quite early, there was only one other table full, but by 9pm all the tables were full. With only 8-10 tables, Turners has an intimate atmosphere. The small premises size means you come into the main dining room from the door on the street. As you are met at the door and escorted in, the time the door is open is kept to a minimum. We sat close to the entrance and didn’t find it a problem. Service was prompt, discrete and courteous throughout. The fact that everyone is having the tasting menu on Saturday night makes ordering food unnecessary, so the only decision to agonise over is the wine list. We had considered having the wines to go with the tasting menu, but in the end decided that we would prefer a more restrained night (not sure what came over us) and opted instead to order a single bottle of wine. 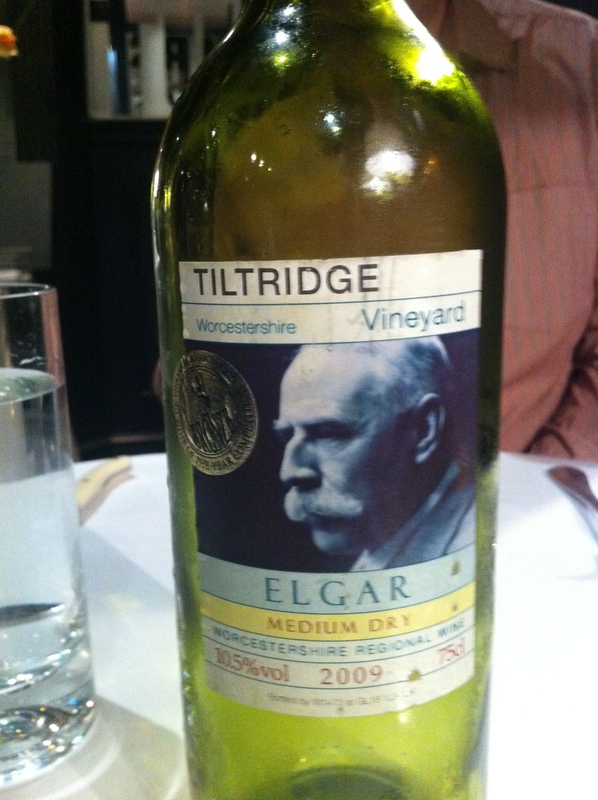 Our pick for the night was a local wine from nearby Worcestershire from the Tiltridge Vineyard. We chose the Elgar Medium Dry (white wine). The sommelier told us that if we wished we could take a visit to the vineyard and I think we might just do that in the future. We’ve drunk English wine before, but I don’t think we’ve ever tasted wine of that quality before from this country. It was light and refreshing without being lightweight in flavour terms. 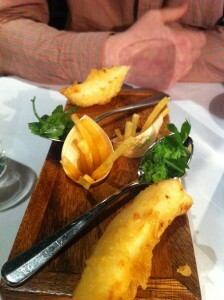 Our first taste of Turners came with the arrival of some miniature fish and chips (pictured above). They were exquisite. I loved the crispiness of the chips which reminded me of those French Fries crisps in size and shape, but not in taste as these were on a much higher level. On the teaspoons was a very refreshing mouthful of pure pea flavour with super sweet and fresh tasting peas and pea shoots. 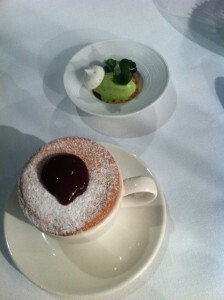 Part two of my Turner’s Restaurant review will review the remainder of the tasting menu. 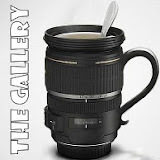 I’ve been toying with the idea of setting up a new blog for a while. 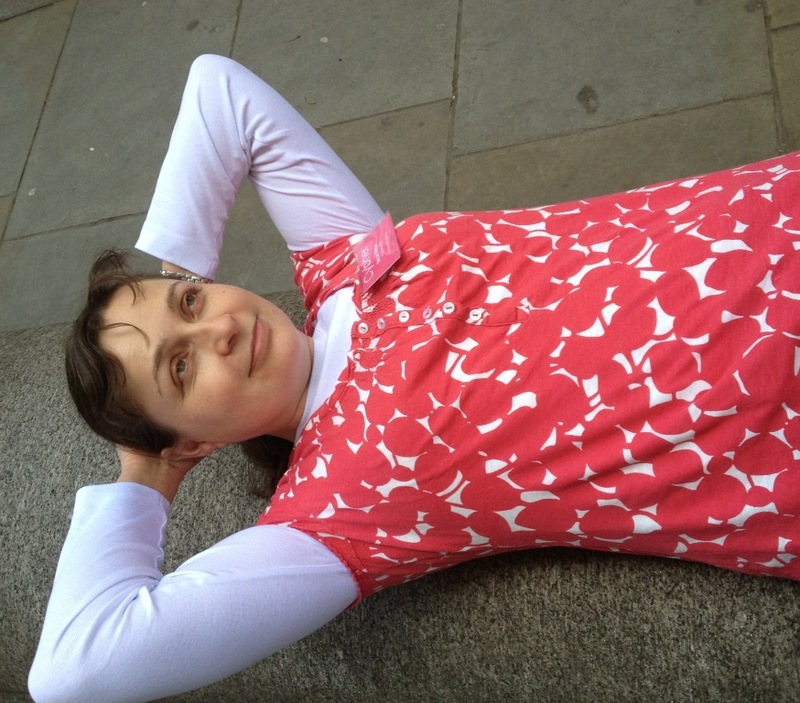 92three30 is a great place to write about family stuff, but I wanted to write some more ‘me’ posts. I thought about setting up a frugal living post, but realised that what I actually yearned for was a little bit of luxury. This recession has been running for so long and it seems never ending. I wanted a place where I could forget about the doom and gloom of the economics of life and enjoy nice things, experiences and little treats. The little luxuries of life are afterall the things that make life worthwhile; that keep us going through the bad times; and make us feel good about life. A Little Luxury For Me will focus on those little luxuries, those chinks of light, those little pieces of fun. Some of those luxuries will be free or very cheap indeed. Others will be more expensive, but with an emphasis on being worth it in some way. Some of the experiences, treats and luxuries will be things I’ve treated myself to or someone has treated me to, and others will be goods and experiences I’ve been sent to review. I’ll make it clear how I came by whatever I’m writing about. Categories I’m planning to cover include food, drinks, pampering, fashion, leisure, sport, books, so A Little Luxury For Me will be wide in scope. 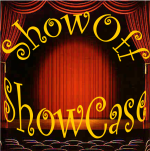 Mostly I expect to do most of the writing myself, but I’m open to the idea of some guest posts. I hope you’ll sign up to follow my blog either on email (on right hand side), via an RSS lead, by following on Facebook or Twitter.